SillyJokes has a wide range of practical jokes to fool your friends, family or work colleagues. 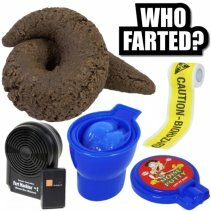 We offer everything from fake dog poo and stink bombs to fake winning scratch cards and evil sweets. Our practical jokes are ideal for a number of occasions such as April Fool's Day, a colleagues last day at work, or simply for getting one over on a family member. 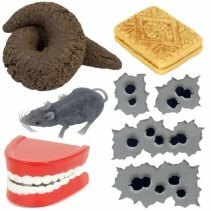 Browse our range of practical jokes using the menu options below and buy online today. 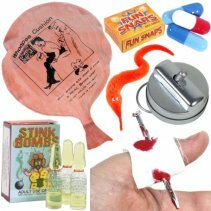 Classic joke shop props and all time best selling pranks. Practical jokes straight out of the smallest room in the house. A gag gift for every occasion.